This beautiful detached house is set out on two floors and has a lovely terraced garden equipped for your outdoor breakfast. To reach the house you pass by small alleys in the historic village of Calci, site of the beautiful Certosa, an ancient fourteenth-century monastery that can be visited and where the naturalistic museum of the Pisan university is located. The house is surrounded by olive trees that produce an excellent oil that you can buy in the area oil mills. The property is pleasingly decorated and houses one bedroom for 2 guests to stay in comfortably. It has a real home from home feel and an ideal get away for a couple who wish to relax and chill out. 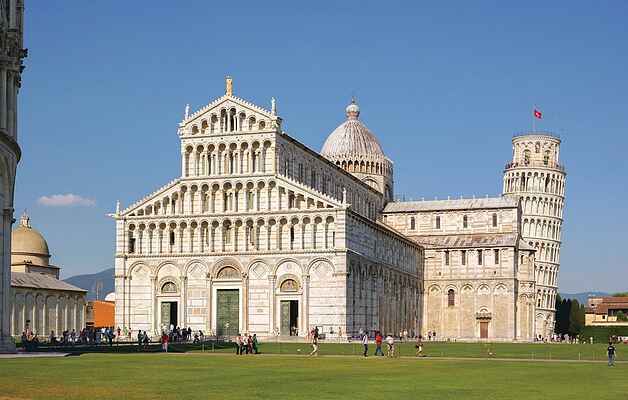 The accommodation is less than 10 km from Pisa with its beautiful Piazza dei Miracoli with the world famous Leaning Tower, Piazza Cavalieri and the Lungarno, and less than 20 km from Lucca with its imposing city walls and the charming historic centre. Climbing the mountain road of Monte Serra (907 m.s.l) you can admire beautiful views of the Pisan valley to the sea of the Pisan and Versilia coast. The last part of the access road is unpaved and not suitable for low cars.